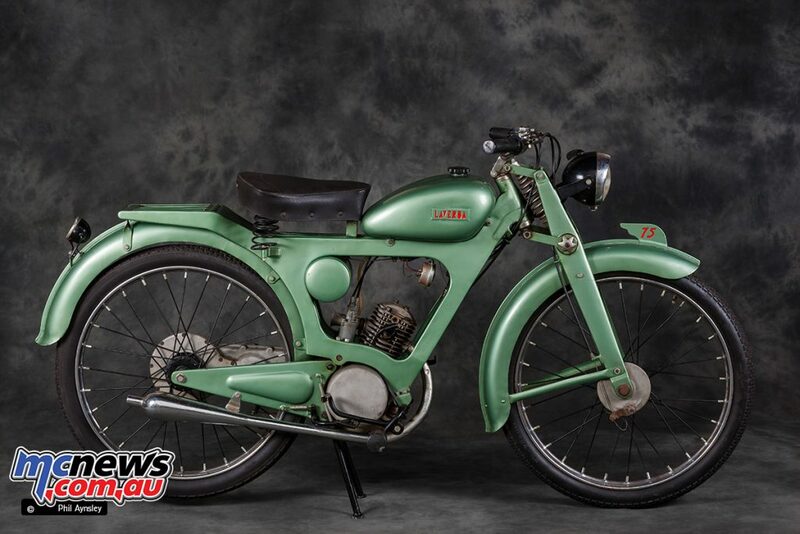 It is not often you get to see, let alone photograph, the very first motorcycle ever produced by a major manufacturer – but here is the start of the Laverda line! 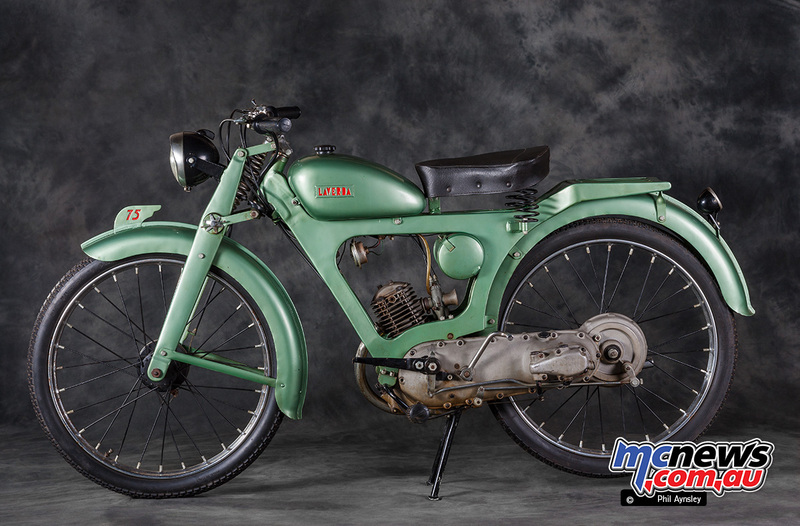 Francesco Laverda constructed his 75cc prototype in his garage between 1947-49. 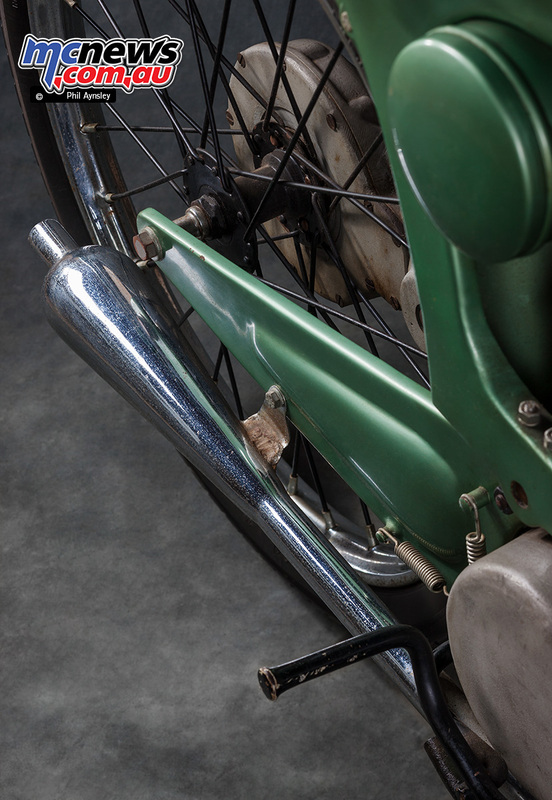 His aim was to produce an economical (60km/litre), low cost bike to fill the transport needs of the post war public. 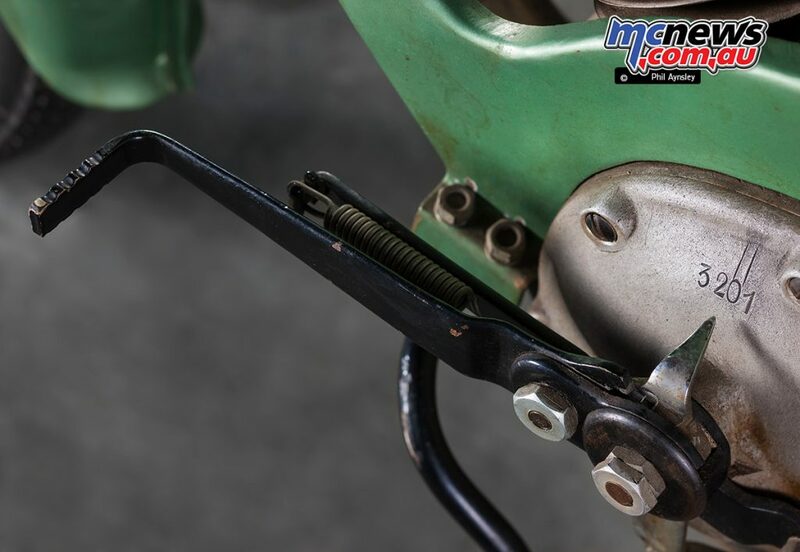 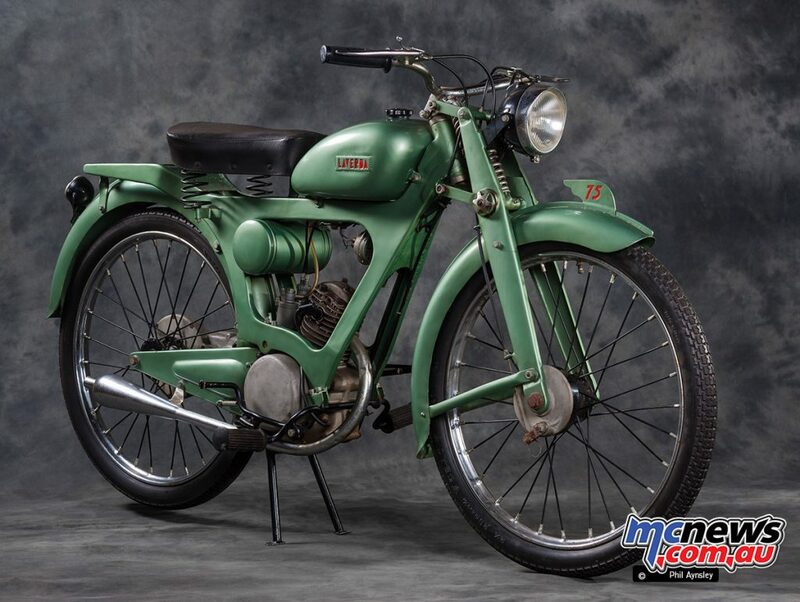 Notable design features include the pressed steel frame, a 4-stroke OHV motor (rather than a 2-stroke) and the unusual final drive system – by chain and gears in an enclosed alloy casting. 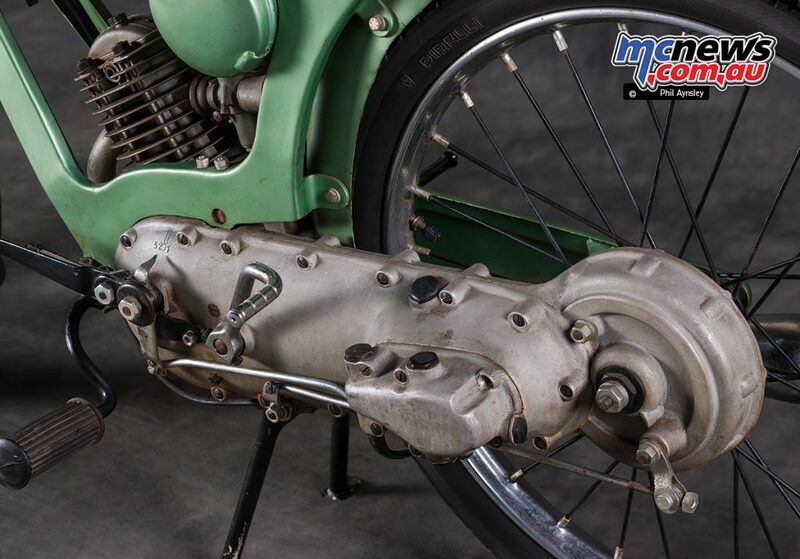 This drive system was to ensure low maintenance as it was envisioned the bike would be used mainly on unsealed roads. 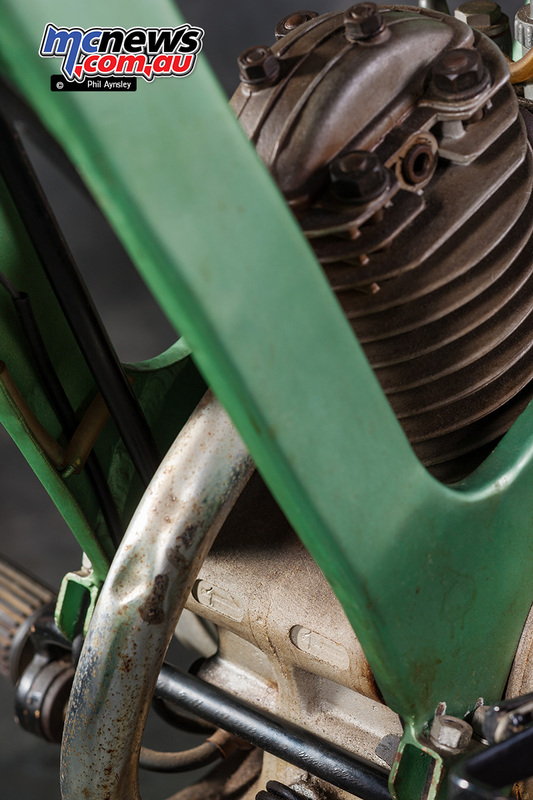 However by the time the 75 went into production in 1951 a normal chain drive was substituted for cost reasons. 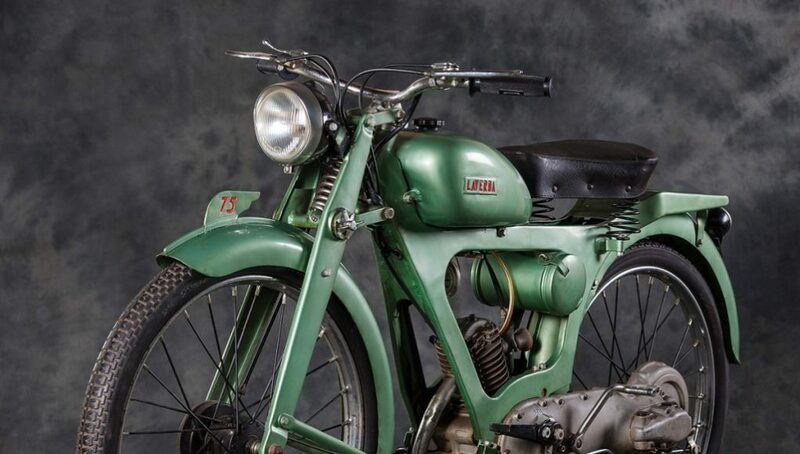 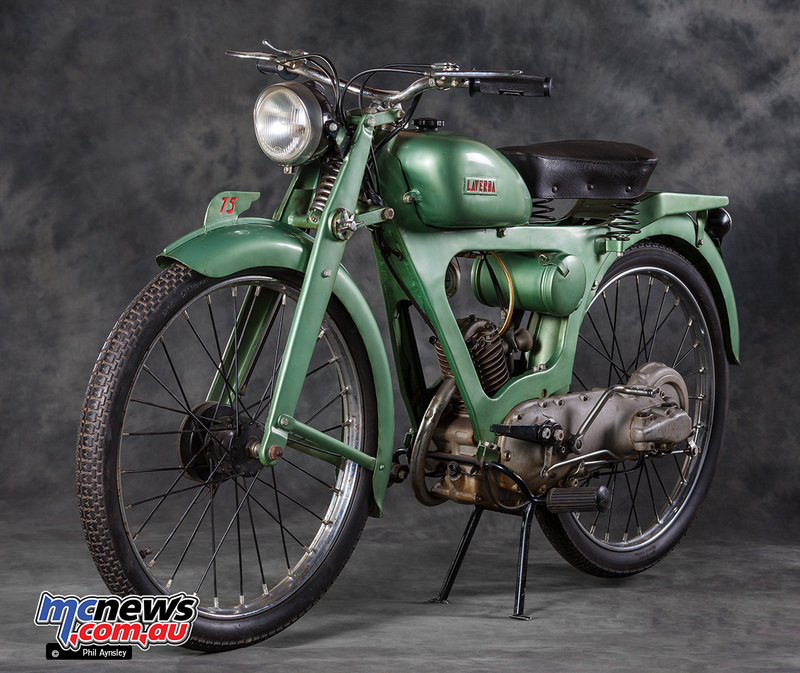 1947-1949 original Laverda 75cc Prototype – with the three-speed gearbox top speed was 70km/h. Power of the prototype was 3hp at 5,250rpm. 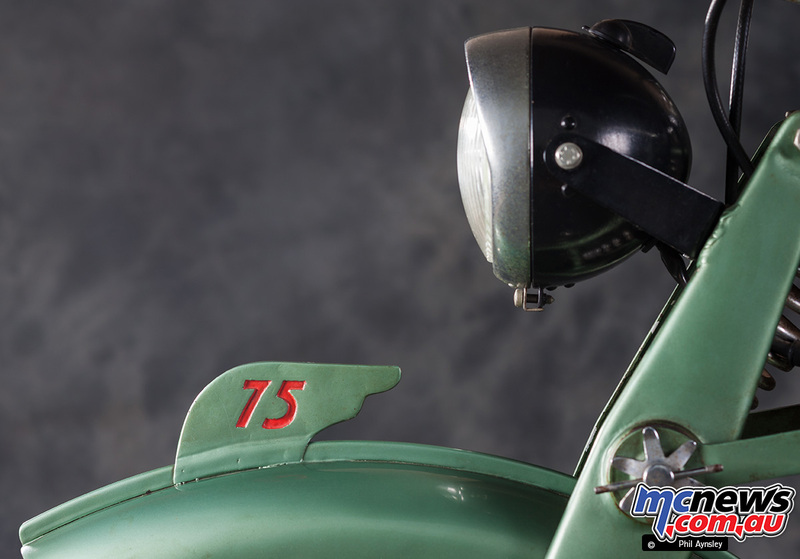 Dry weight 65kg. 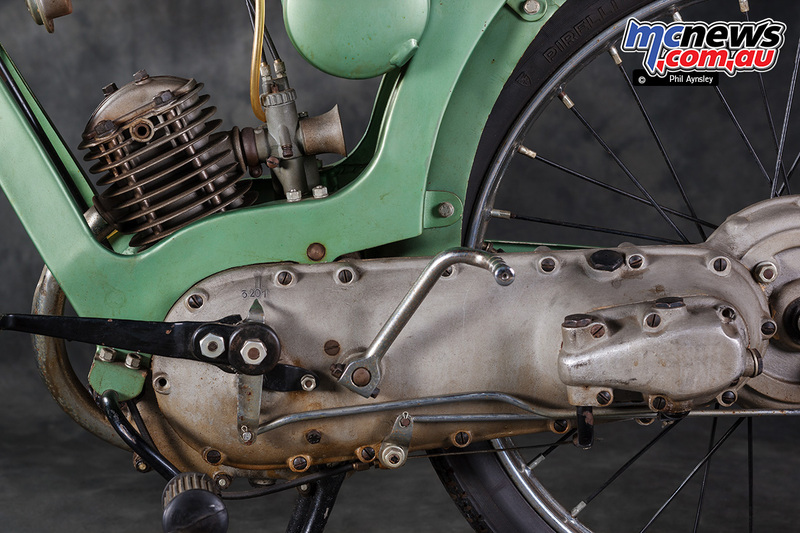 A 3-speed gearbox was used giving a top speed of 70kph. 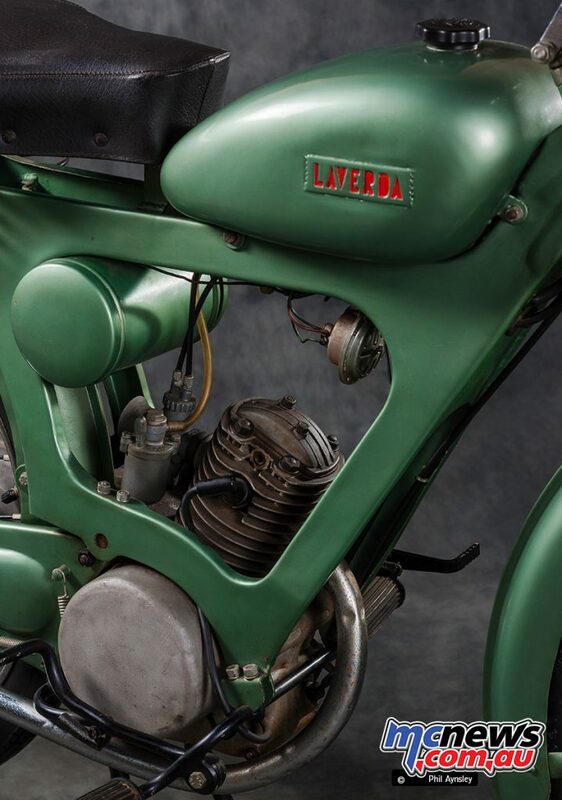 The bike is still in family hands being a part of Piero Laverda’s collection.